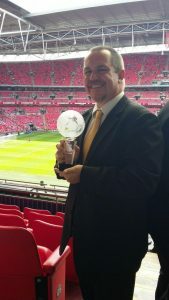 The national award recognises Bengeo Tigers exceptional work in providing boys and girls with an experience of football which is fair, safe and enjoyable for all. The announcement marks an incredible week for the Hertford based club, who were presented with the Hertfordshire FA’s Charter Standard Community Club of the Year last week by former England and Arsenal Ladies captain, Faye White. A judging panel including both Stephanie Moore MBE and Trevor Brooking CBE identified the club’s commitment in executing a zero tolerance approach to ‘respect’ issues, in addition to the energy the Tigers had shown to set and maintain its high standards as key aspects in their decision. The approach has been credited with influencing a complete culture change at the cub over the past few seasons.